The GE 30 in. 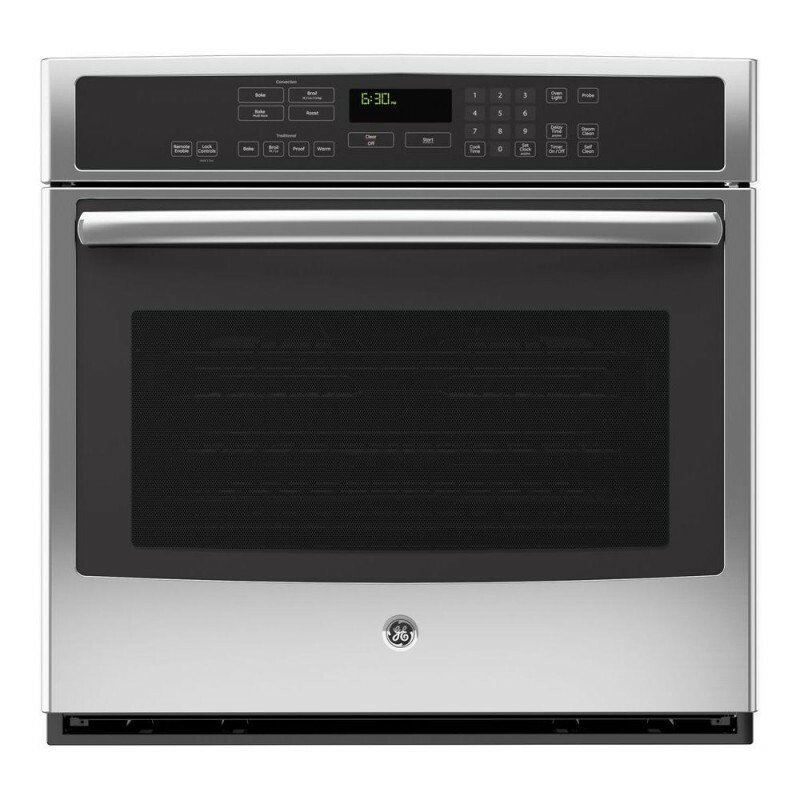 Electric Convection Single Wall Oven provides a full 5.0 cu. ft. capacity for ample cooking space. True European Convection with Direct Air. 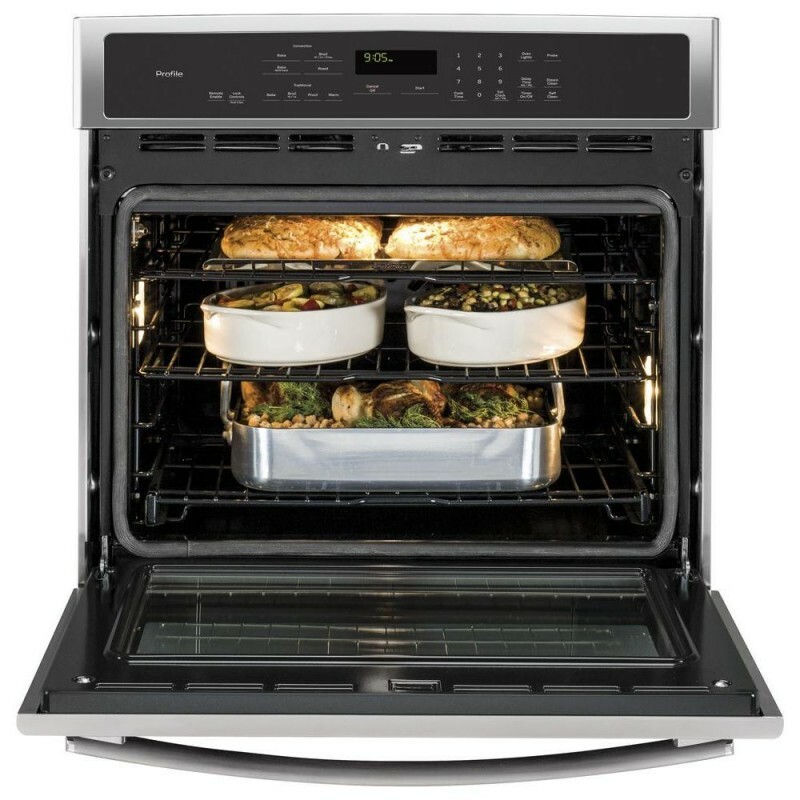 Closed-door broiling allows for safe cooking without overheating the kitchen. Wirelessly control oven functions from your smartphone. 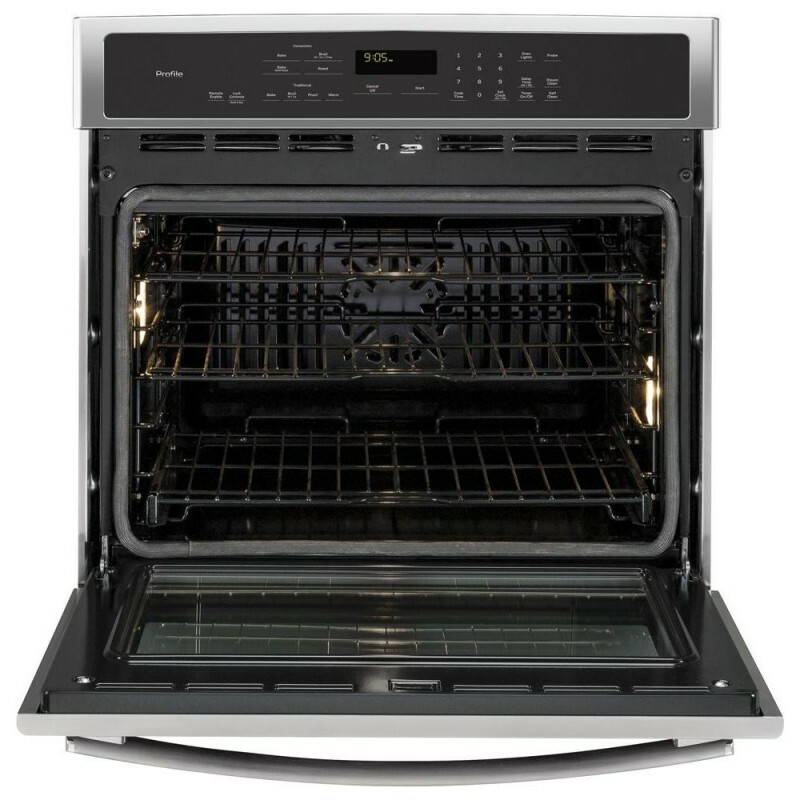 In addition, the Hidden Bake element creates a smooth oven floor so spills are easy to clean. GE Profile products offer the best in contemporary design matched with the latest in appliance technologies to transform the way you live. Sporting a bold, dramatic look and state of the art features, this collection provides the perfect combination of style and innovation throughout your kitchen. Great product Very reliable and dependable product. It is manufactured from quality components that will last lifetime. Nice Oven I replaced my Viking of 9 years with this GE oven, it is larger, and the heating element is embedded in the oven. So far it's temperature is true, and I love the broiler, this was a great choice for us. 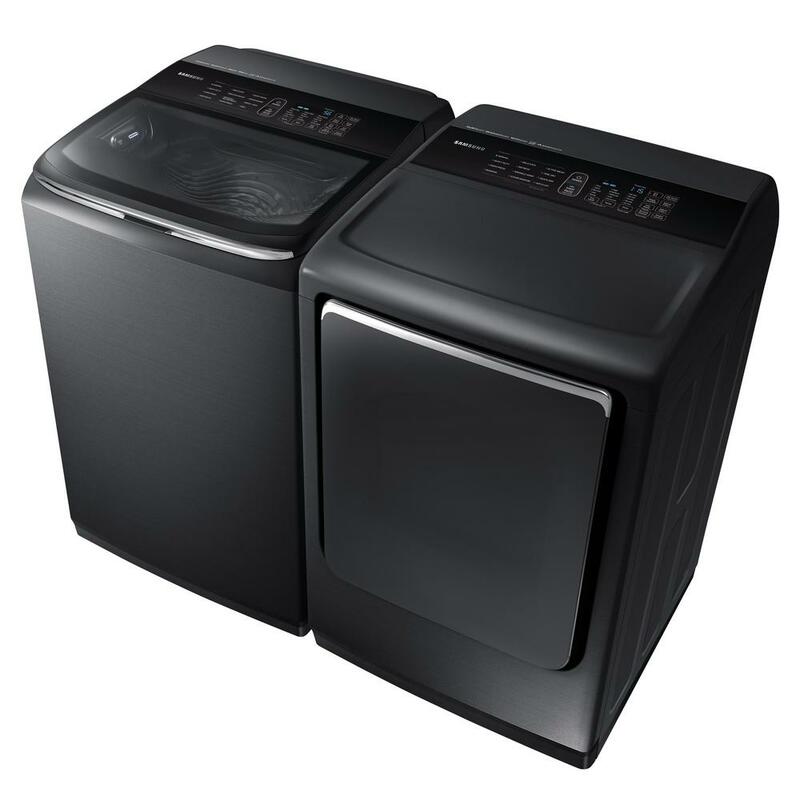 Great but expensive Tons of features including Wifi connectivity and proofing. For the high price, GE should include two sliding oven racks. Only baked a few times but so far so good.